I’ve seen a lot of center island sculptures come and go in Manhattan. Never have I had such a visceral response as I did today on Park Ave. and 67th. 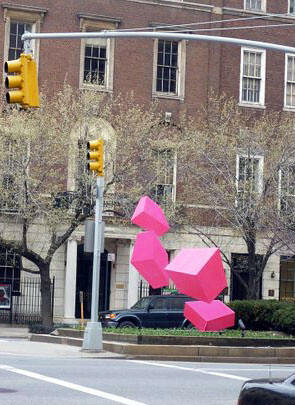 Raphael Barrio‘s vibrant flourescent geometric sculpture stopped me in my tracks! His palette pops against a backdrop of New York’s beige, black, brown, rust and muted grays. 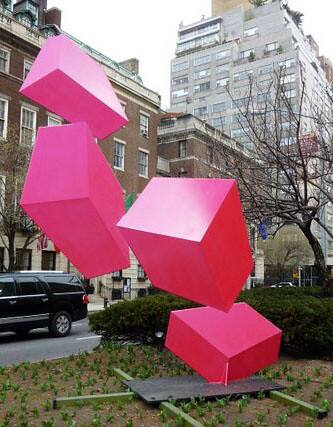 Here’s a nice round-up of Barrio’s geometric sculptures along Park Ave.